I’ve been eyeing off some beautiful pieces from Toronto based jewllery company, Mejuri, for what feels like forever now but because I live in Australia it costs quite a bit for shipping, so I’ve always ended up putting it off. But for my birthday, my boyfriend bought them for me! I first discovered Mejuri—like most brands—on Instagram on my favourite fashion bloggers. 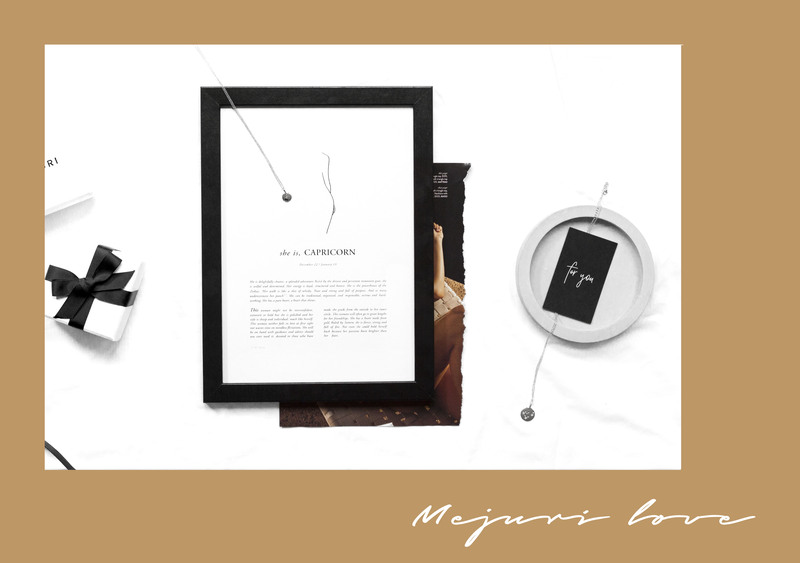 I love dainty jewellery that you can wear everyday but I had never found a brand that fits my minimalist aesthetic as much as Mejuri. I’m definitely more of a silver girl, I just feel like it looks nicer against my pale, pink complexion and I love that Mejuri has just as much available in silver as it does in gold. I really love personalised jewellery, so I had to have this Engravable Necklace with my first initial, E. This is such a simple piece that I wear every day, either showing or underneath my clothing. 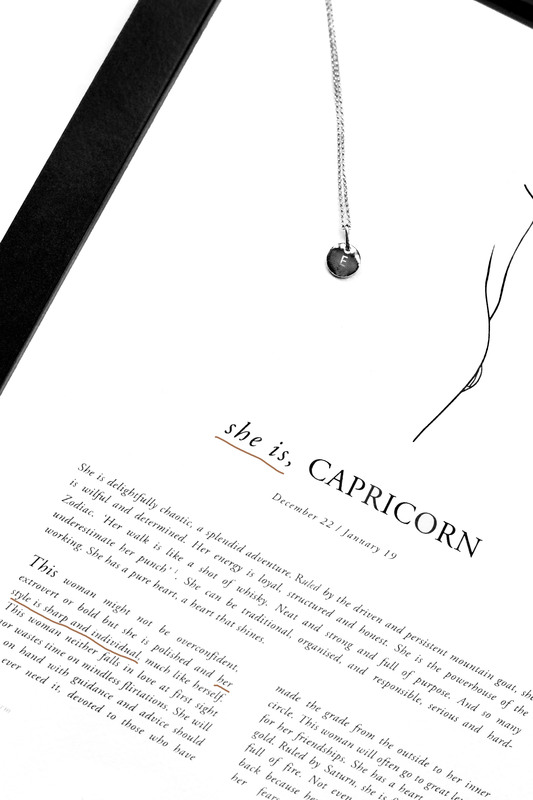 When I’m wearing a plain top or a plunging neckline, I’ll also layer it with this Capricorn Necklace—because who isn’t layering their jewellery these days? I love the non traditional approach that Mejuri takes to star signs with their zodiac collection. Being a Capricorn, nearly everything with my star sign on it is ruined with this goat-like image. So, I love this star approach, and the pieces are just so beautiful! Have you shopped at Mejuri before? Personalized Collection Engravable Necklace, in solid yellow gold and sterling silver. The Zodiac Collection Capricorn Necklace, in sterling silver and gold vermeil.